Details: 2 Bedroom, 2 Bathroom gulf-front home with approx. 1,360 square feet. 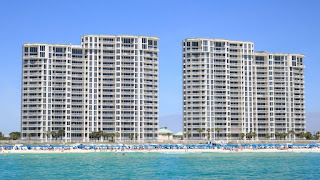 Destin condo for sale at Silver Beach Towers. Gorgeous beachfront residence in the popular community of Silver Beach Towers. This resort property includes a deeded parking-space a the covered garage. Boasting a comfortable floor-plan that maximizes the exceptional views of the Gulf of Mexico - with the master bedroom, guest bedroom and living area all overlooking the gulf with direct access to the private balcony. Endless views to the east and west from this upper-floor condominium - no need to pick a sunset view or a sunrise view, there's both...this is an ideal real estate investment or private residence. Rental revenue was approx. $68k for 2017, Communities amenities include two large pools, tennis & basketball courts, BBQ area, gulf-side playground, private beach access, and more. 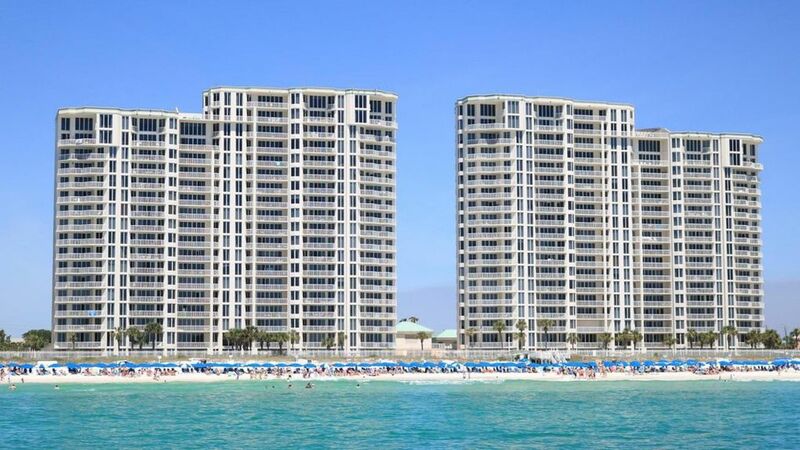 Silver Beach Towers is a premiere community in Destin that is centrally located with easy access to the Destin airport, entertainment, shopping & dining, Near the Track recreational complex, and Big Kahunas water theme park. Come see this condo today!